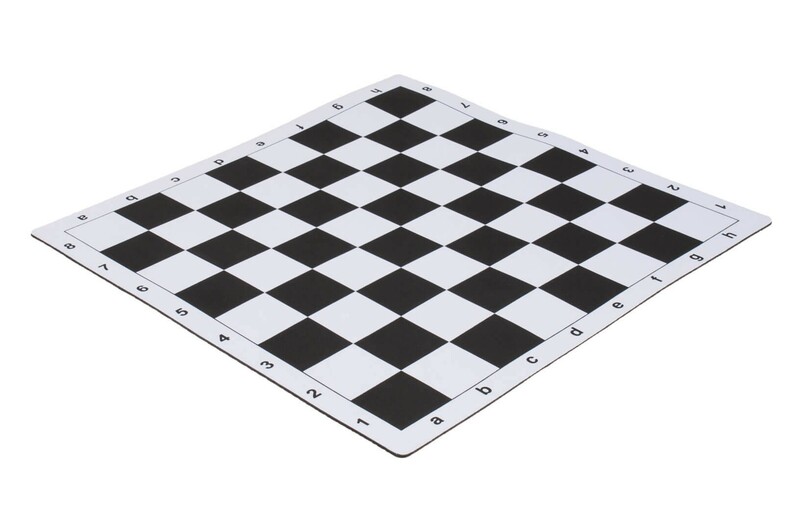 Our Soft Mouse Pad Style Tournament Chessboards are standard tournament size (20" x 20") with 2.25" individual squares and rounded corners. 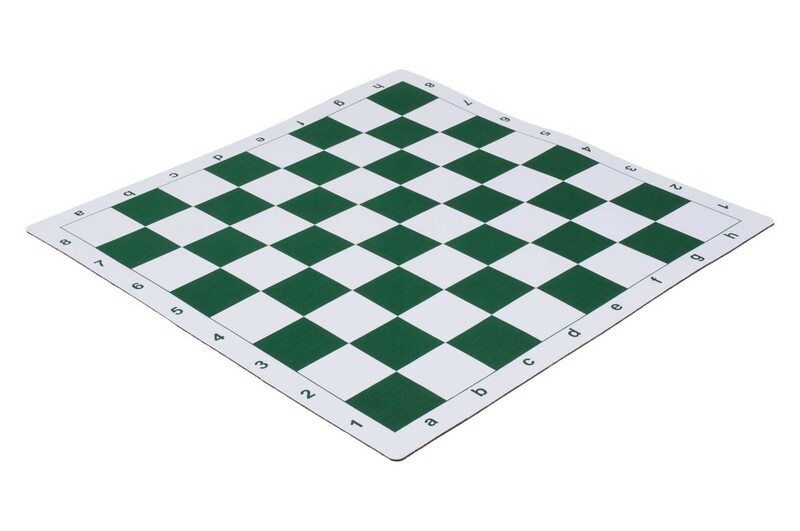 Unlike other mouse pad chessboards available on the Internet, our mouse pad style chessboards are COMPLETELY ODORLESS - No strong chemical smell! Guaranteed to lie flat, no more turned up edges! Fits rolled up in our Deluxe Chess Bag. Features rank and file labels on all for sides - ideal for beginners! Very good very softy and pleasing to the touch.. pieces slide easily. I like these chess boards very much and can only ask for more like please make it in a larger say 22 x 22 size.